Got a company meeting to plan? Don’t wait for the post-holiday sales to book. You could miss out on scores of great offers. You see, December is a wonderful time of year for booking company meetings. Because hotels are super eager to close on every meeting and end the year on a high note. And what a year this has been for them! Even with record occupancy and revenue, sales managers still want to finish the year strong. They’re highly motivated to book every meeting they can before ringing in the New Year. So, if you’ve got a meeting to book, now is the time to finalize your venue wish list and start the bidding. These 5 simple tips will help you get the hotel you want and drive the best deal. It may seem counterproductive to include additional venues in your search if you already know the one you want. But here’s an industry insider secret: When hotels realize you aren’t shopping around, they also know they don’t have to offer a competitive rate. Simply include a couple other hotels along with your favorite when submitting your RFP. You’re likely to see competitive bids with special savings or discounts from each hotel, as sales managers compete to make their property stand out. You may have to do a little research to select hotels that fit your meeting. But as you’ll see in a minute, the effort will be well worth your while. Hotel sales manager love to know their competition. That gives them the opportunity to put their property ahead of the pack. They’ll likely provide extra details on what makes their property a great fit for your meeting. And having this info will help you choose a venue faster. 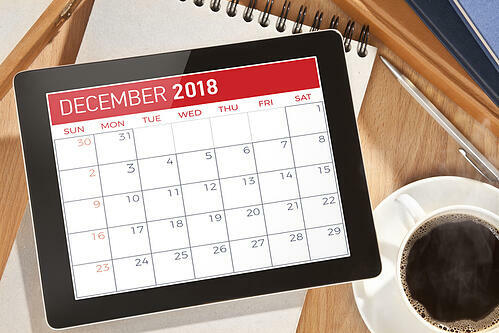 You don’t have to provide your final decision date, just the date you plan on narrowing down the list to your favorites – your “short list.” Think of it as eliminating the bids that don’t work for your meeting. Sharing this date will let the sales manager know you’re serious about booking this business. And motivate them to bid quickly and aggressively to make your short list. Life doesn’t always go as planned. Hotels understand this, but they’re working hard to win your business. So, it’s fair to keep them updated on your planning progress – whether there’s a delay in decision-making or they didn’t make the cut. You’ll gain credibility and their appreciation, which will carry you far next time you have a meeting to book. Negotiations don’t stop with your short list. In fact, that’s when they begin. Once they’ve made your list, sales managers will pull out all the stops to earn your business. This means they’ll be responsive to special requests and make offers that previously weren’t on the table. If you plan to sign your contract before yearend, communicate that on your RFP too, and watch the deals roll in. You’ll book the right venue at the best possible price. Now, that’s a great way to spread seasonal good cheer. Send your RFP with Aventri’s Venue Connect. Search our database of over 225,000 meeting venues. Fine-tune your search with powerful filters. Venue Connect is the easiest way to research meeting hotels, create an RFP, and get bids on your company meetings. You’ll receive hotel proposals within 24 – 48 hours in a side-by-side bid summary for easy comparison.